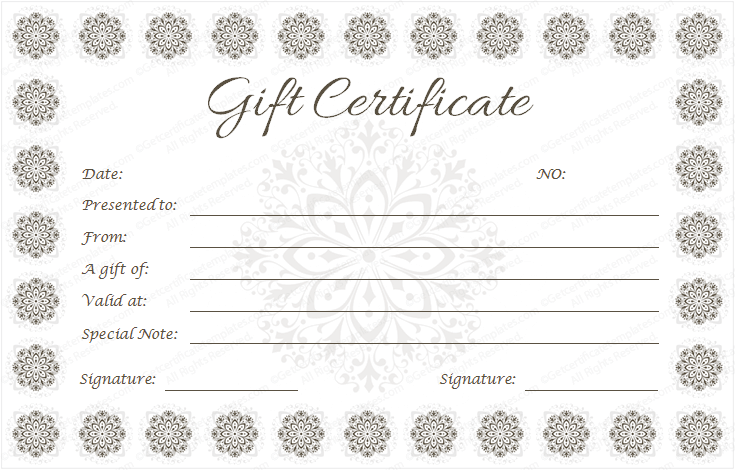 A gift certificate is often seen as a card, and more commonly referred to as a gift card. But these are so common these days that they hold little to no meaning. This is not the way to send someone a special gift of thanks from the heart. Instead you can download this gift certificate template and use it when you need it. You can number them, so if you are using it for a business you will know how many you gave away to show your customers you care, and so you can track them. This gift certificate template is easy to use and ready to print as is, without having to edit any information. All you need to do is fill in the blanks and hand it to the person you appreciate the most, for a business it could be employees or special customers. Either way it sends a more personal message of appreciation then any gift card ever could.